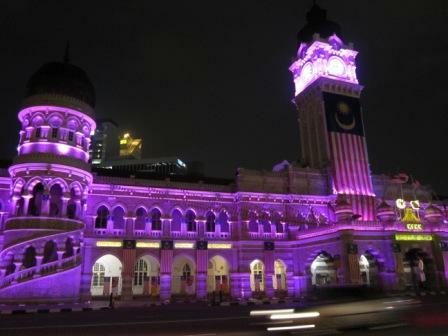 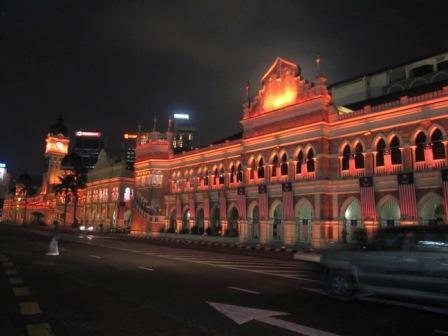 The Sultan Abdul Samad Building in Kuala Lumpur, located in front of Dataran Merdeka is a very important landmark. 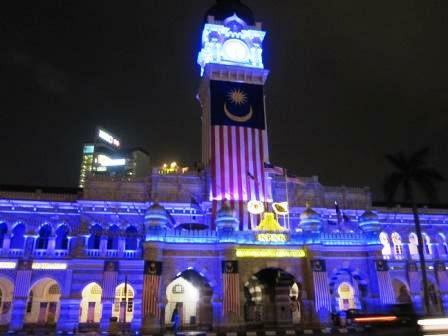 The National Day event that falls on 31 August each year is often held in front of this building. 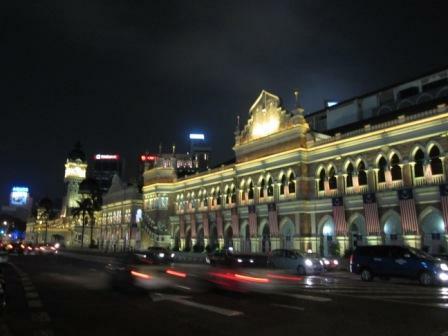 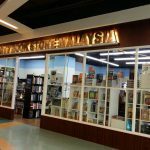 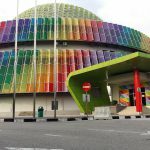 If you are driving, you can park your car for a short while next to the Dataran Merdeka (Independance Square) to enjoy the night scene and snap photos. 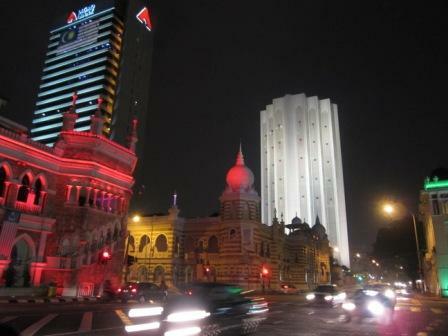 But if there are events, the road would be blocked or only one way is allowed. 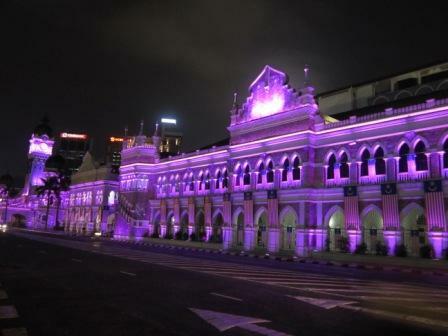 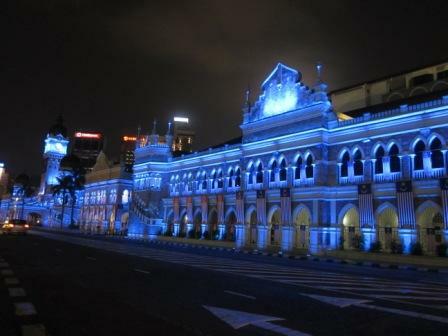 You can view how different colours illuminated this historical building.